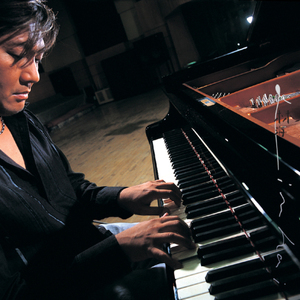 Born in 1969, Lin Hai learned to play the piano at age four. 1988 he majored in piano at the China Central Music College and the next year he became the only and unprecedented Chinese nominee for the 8th Van Cliburn Musical Contest held in the U.S. In 1992 he began giving concerts in Taiwan and China and composed movie scores and TV drama scores. Now one of the most promising and successful Chinese pianists, he focuses on composing jazz and eastern new age music. Like a sleepless wanderer, Lin Hai captures the beauty of Beijing during the night. From midnight to dawn, the piano solo magically describes a floating city with such abundant images and colorful lines that it resembles an orchestra.